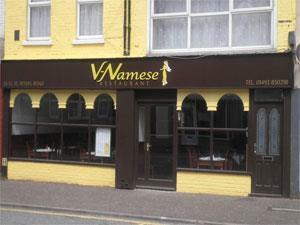 V-Namese Restaurant in Great Yarmouth, serves authentic and aromatic Vietnamese cuisine to dine in or takeaway. On arrival in Great Yarmouth follow signs for the Heritage Quarter, proceeding along South Quay and taking a left turn onto Nottingham Way. Follow the road round taking a left turn onto St Peters Road, proceed over the mini roundabout and V-Namese Restaurant is a short distance along on the left hand side.